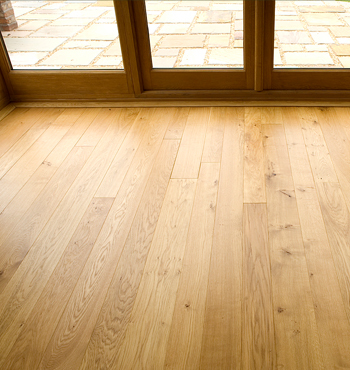 Oak flooring is produced from kiln dried material. It is machined with tongued and grooved edges and has stress relieving grooves to the underside to keep it flat. The boards are end matched and are easy to lay. They are available in 21mm thickness and in 120, 140, 160, 180, and 200mm finished face widths and in random lenghts of 1.0m to 2.5m long. Venables Oak also supplies OSMO floor wax and other finishing products and can help you select the best for your application. We supply both solid oak and engineered flooring. We are also able to machine floors to individual specifications. Clients are welcome to visit to discuss exact requirements. And for those who are not sure of the exact requirements, there is an equally warm welcome and the knowledge and time to help you choose the best floor for your application. Got all the information you need and ready to place your order? Let us help you find what you need. Download our Flooring Information PDF so that you have the information you need at hand.